Building upon Antler’s wildly popular Juno range, the British luggage pioneer has returned with their finest collection of spinner cases yet – Juno 2. Evolving from the features of the beloved original range, all cases in the Juno 2 collection feature a lightweight construction, making it easier to get around, and are crafted with a super-strong polypropylene case adorned with striking horizontal lines. 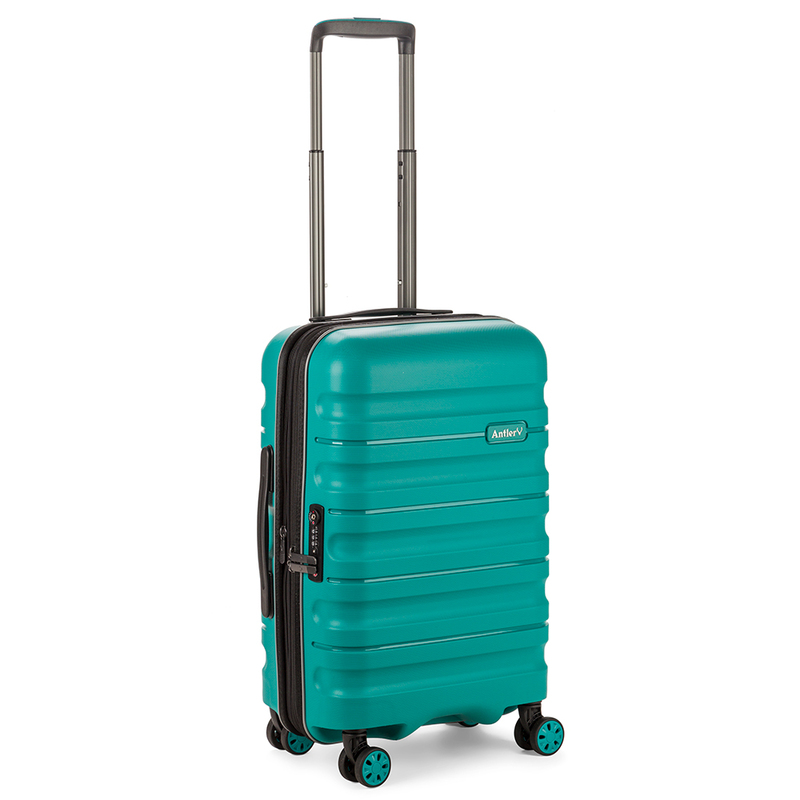 Each piece is equipped with eight lightweight spinner wheels that are colour-matched to your case, while the in-built TSA-compatible combination lock provides you with peace of mind. Lightweight, tough and packed with Antler’s usual smart features, Juno 2 encompasses everything you need in a case. Top and side haul carry handles. Eight 360° colour-matched spinner wheels for ease of movement. Main compartment is equipped with elastic packing straps, a small zippered pocket and a zippered fabric divider for organisation. Small ID tag on the back of the case. External Dimensions: 35cm (l) x 56cm (h) x 23/25cm (w).